The Malayan Campaign was a military campaign fought by Allied and Axis forces in Malaya, from 8 December 1941 – 31 January 1942 during the Second World War. It was dominated by land battles between British Commonwealth army units, and the Imperial Japanese Army with minor skirmishes at the beginning of the campaign between British Commonwealth and Royal Thai Armed Forces. 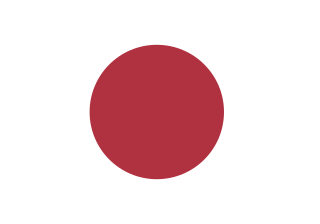 The Japanese had air and naval supremacy from the opening days of the campaign. For the British, Indian, Australian and Malayan forces defending the colony, the campaign was a total disaster. Mandatory Palestine was a geopolitical entity established between 1920 and 1923 in the region of Palestine as part of the Partition of the Ottoman Empire under the terms of the British Mandate for Palestine. 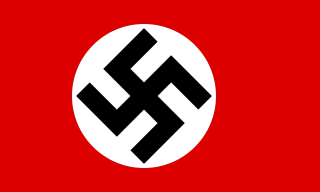 Among the causes of World War II were Italian fascism in the 1920s, Japanese militarism and invasion of China in the 1930s, and especially the political takeover in 1933 of Germany by Adolf Hitler and his Nazi Party and its aggressive foreign policy. 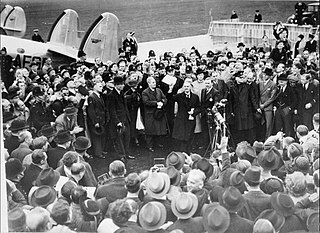 The immediate cause was Germany invading Poland on September 1, 1939, and Britain and France declaring war on Germany on September 3, 1939. General Sir Richard Nugent O'Connor, was a senior British Army officer who fought in both the First and Second World Wars, and commanded the Western Desert Force in the early years of the Second World War. He was the field commander for Operation Compass, in which his forces destroyed a much larger Italian army – a victory which nearly drove the Axis from Africa, and in turn, led Adolf Hitler to send the German Africa Corps under Erwin Rommel to try to reverse the situation. O'Connor was captured by a German reconnaissance patrol during the night of 7 April 1941 and spent over two years in an Italian prisoner of war camp. He eventually escaped after the fall of Mussolini in the autumn of 1943. In 1944 he commanded VIII Corps in the Battle of Normandy and later during Operation Market Garden. 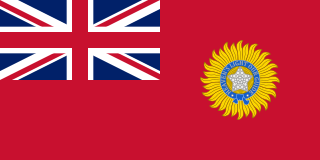 In 1945 he was General Officer in Command of the Eastern Command in India and then, in the closing days of British rule in the subcontinent, he headed Northern Command. His final job in the army was Adjutant-General to the Forces in London, in charge of the British Army's administration, personnel and organisation. 1 2 3 Chappell 1987, p. 19. 1 2 3 4 5 6 7 8 9 10 11 12 13 14 15 16 17 18 19 20 Joslen 2003, p. 49. ↑ Joslen 2003, pp. 130–131. ↑ Playfair et al. 2004, pp. 25–26. ↑ Cave 2003, p. 60. ↑ Cave 2003, p. 61. ↑ Bar-On 2006, p. 21. ↑ Bar-On 2006, p. 26. ↑ Bar-On 2006, pp. 27–32. 1 2 Bar-On 2006, p. 35. 1 2 Joslen 2003, p. 51. ↑ Jackson 1996, p. 31. 1 2 Bar-On 2006, pp. 35–36. 1 2 Marston 2010, p. 32. ↑ Bar-On 2006, p. 36. ↑ Sebag Montefiore 2011, p. 473. ↑ Bar-On 2006, pp. 37–38. ↑ Playfair et al. 2004, p. 58. 1 2 3 Playfair et al. 2004, p. 97. ↑ Playfair et al. 2004, p. 4. ↑ Grehan & Mace 2015, p. 6. ↑ Joslen 2003, pp. 49, 51, 253, and 257. ↑ Playfair et al. 2004, p. 100. ↑ Playfair et al. 2004, pp. 362–366, 371–376. ↑ Playfair et al. 2004, p. 2. ↑ Joslen 2003, pp. 49, 258, and 266. ↑ Playfair et al. 2004, pp. 32–33. ↑ Playfair et al. 2004, pp. 125, 127. ↑ Long 1953, pp. 281–285. ↑ Long 1953, pp. 288–291. ↑ Playfair et al. 2004, p. 143. ↑ Playfair et al. 2004, pp. 182, 196–197, 203. ↑ Playfair et al. 2004, pp. 207, 209. 1 2 Joslen 2003, p. 267. ↑ Playfair et al. 2004, p. 221. ↑ Playfair et al. 2004, pp. 19–40. ↑ Latimer 2001, pp. 43–45. ↑ Playfair et al. 2004, pp. 33–35. ↑ Latimer 2001, pp. 48–64. ↑ Playfair et al. 2004, p. 41. ↑ Jentz 1998, p. 128. ↑ Maughan 1966, pp. 307–308. ↑ Freudenberg 2015, p. 293. ↑ Maughan 1966, p. 307. 1 2 3 Maughan 1966, p. 310. ↑ Freudenberg 2015, pp. 259, 293. ↑ Freudenberg 2015, pp. 295–305. ↑ Playfair et al. 2004, pp. 24–25. ↑ Lord & Watson 2003, p. 35. ↑ Morris 1989, p. 215. 1 2 Playfair et al. 2004, p. 25. ↑ Playfair et al. 2004, p. 26, 30. 1 2 3 4 Joslen 2003, p. 205. ↑ Playfair et al. 2004, pp. 6, 19–20. 1 2 3 4 Messenger 1994, p. 70. ↑ Thompson 2011, pp. 84–86. ↑ Thompson 2011, pp. 84–87. ↑ Sheffield 1930–1956, p. 88. ↑ Rissik 2012, p. 62. ↑ Thompson 2011, pp. 89–90. ↑ Rissik 2012, pp. 62–65. ↑ Windrow 2005, p. 12. ↑ Playfair et al. 2004, pp. 6–7. ↑ Playfair et al. 2004, p. 7. ↑ Playfair et al. 2004, p. 38. ↑ Playfair et al. 2004, pp. 41–42. ↑ Playfair et al. 2004, p. 43. ↑ Murphy 1961, p. 93. ↑ Playfair et al. 2004, p. 44. 1 2 Murphy 1961, pp. 92–94. 1 2 Playfair et al. 2004, pp. 45–46. 1 2 Ford 2010, p. 47. 1 2 Stewart 2010, p. 21. 1 2 Joslen 2003, p. 482. ↑ Playfair et al. 2004, p. 48. 1 2 Murphy 1961, p. 108. ↑ Stewart 2010, p. 22. ↑ Macksey 1997, pp. 81–82. ↑ Wilkinson-Latham 2005, p. 9. 1 2 3 Playfair et al. 2004, p. 61. ↑ Playfair et al. 2004, p. 52. ↑ Murphy 1961, pp. 246–247. 1 2 3 Murphy 1961, p. 271. 1 2 Playfair et al. 2004, pp. 60–62. ↑ Murphy 1961, p. 272. ↑ Murphy 1961, p. 273. ↑ Playfair et al. 2004, p. 62. ↑ Stewart 2010, p. 33. 1 2 Playfair et al. 2004, pp. 65–66. ↑ Murphy 1961, pp. 404–405. ↑ Murphy 1961, pp. 405–406. ↑ Playfair et al. 2004, pp. 67–69. ↑ Murphy 1961, p. 466. 1 2 Playfair et al. 2004, p. 69. ↑ Murphy 1961, p. 472. ↑ Murphy 1961, p. 482. ↑ Murphy 1961, pp. 472–473. ↑ Murphy 1961, pp. 481–482. ↑ Murphy 1961, pp. 482–483. ↑ Sheffield 1930–1956, p. 94. ↑ Stewart 2010, pp. 38–39. 1 2 3 Sheffield 1930–1956, pp. 94–95. ↑ Playfair et al. 2004, p. 121. ↑ Tsang 2007, pp. 121–124. ↑ Holden-Reid 1993, p. 83. 1 2 Playfair et al. 2004, pp. 199–200. 1 2 Joslen 2003, pp. 49–50. ↑ Woodburn Kirby 2004a, pp. 56–57, 110. ↑ Joslen 2003, pp. 49–50, 258. ↑ Jackson 2006, p. 316. ↑ Slim 1960, p. 126. 1 2 3 Jackson 2006, p. 376. ↑ Roy 2012, p. 146. ↑ Moreman 2014, pp. 12, 61–62. ↑ Green 2014, pp. 5–6. ↑ James 1988, p. 65. ↑ Messenger 1994, p. 105. ↑ Moreman 2014, p. 64. ↑ Allen 2000, p. 93. ↑ Slim 1960, p. 138. ↑ Slim 1960, p. 141. ↑ Moreman 2014, p. 79. ↑ Slim 1960, p. 160. ↑ Slim 1960, p. 165. ↑ Chant 2013, pp. 117–118. ↑ Rooney 1997, pp. 64–65. 1 2 Rooney 1997, p. 65. ↑ Woodburn Kirby 2004b, p. 36. ↑ Royle 2010, pp. 275–276. ↑ Woodburn Kirby 2004b, pp. 442, 445. ↑ Perry 1988, p. 71. ↑ Slim 1960, pp. 216–217. 1 2 3 Joslen 2003, pp. 49, 253. 1 2 3 Joslen 2003, pp. 49, 257. 1 2 3 4 5 Joslen 2003, pp. 49, 267. The Battle of Bir Hakeim took place at Bir Hakeim, an oasis in the Libyan desert south and west of Tobruk, during the Battle of Gazala. The 1st Free French Brigade defended the position from 26 May – 11 June against much larger Axis forces of Panzerarmee Afrika. The Panzerarmee captured Tobruk ten days later but the delay imposed on the Axis offensive by the defence of the fortress influenced the cancellation of Operation Herkules, the plan for an Axis invasion of Malta. Rommel continued to advance and invaded Egypt, slowed by British delaying actions until the First Battle of El Alamein in July, where the Axis advance was stopped. 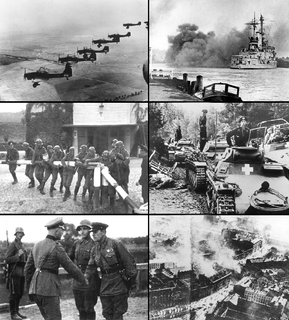 Both sides used the battle for propaganda, Winston Churchill renamed the Free French as the Fighting French and Hitler called the French the second best fighters after the Germans. Fort Capuzzo(Ridotta Capuzzo) was a fort in the colony of Italian Libya, near the Libyan-Egyptian border, next to the Italian Frontier Wire. The Litoranea Balbo(Via Balbia) ran south from Bardia to Fort Capuzzo, 13 km (8 mi) inland, west of Sollum, then east across the Egyptian frontier to the port, over the coastal escarpment. The fort was built during Italian colonial repression of Senussi resistance in the Second Italo-Senussi War (1923–1931), as part of a barrier on the Libya-Egypt and Libya-Sudan borders. Operation Brevity was a limited offensive conducted in mid-May 1941, during the Western Desert Campaign of the Second World War. Conceived by the commander-in-chief of the British Middle East Command, General Archibald Wavell, Brevity was intended to be a rapid blow against weak Axis front-line forces in the Sollum–Capuzzo–Bardia area of the border between Egypt and Libya. Although the operation got off to a promising start, throwing the Axis high command into confusion, most of its early gains were lost to local counter-attacks, and with German reinforcements being rushed to the front the operation was called off after one day. The 8th Armoured Division was an armoured division of the British Army during the Second World War. It was deployed to Egypt in June 1942 but never operated as a complete formation and was disbanded in January the following year. The 24th Army Tank Brigade was an armoured brigade of the British Army. 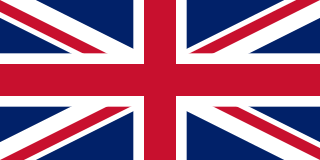 It was embodied in the United Kingdom at the outbreak of World War II. On 1 November 1940 it was redesignated as the 24th Armoured Brigade and reorganized. In July 1942 it transferred to Egypt and took part in the Western Desert Campaign, notably the Second Battle of El Alamein. The Headquarters was disbanded in the Middle East on 1 March 1943. Operation Skorpion or Unternehmen Skorpion was a military operation during the Western Desert Campaign of the Second World War. The operation was fought by Axis forces under the command of Colonel Maximilian von Herff and British forces under Lieutenant-General William "Strafer" Gott. A counter-attack was made on British positions at Halfaya Pass in north-western Egypt, which had been captured during Operation Brevity (15–16 May).Unternehmen Skorpion was the second offensive operation commanded by Rommel in Africa. The Battle of Point 175 was a military engagement of the Western Desert Campaign that took place during Operation Crusader from 29 November – 1 December 1941, during the Second World War. Point 175 is a small rise just south of the Trigh Capuzzo, a desert track east of Sidi Rezegh and south of Zaafran, with a good view of the vicinity. In early November 1941, the feature was held by German infantry of Division z.b.V. Afrika. Troops of the 2nd New Zealand Division and Infantry tanks of the 1st Army Tank Brigade attacked and captured Point 175 on 23 November, during the Battle of Sidi Rezegh, at the start of Operation Crusader. The New Zealand troops then attacked westwards and made contact with the Tobruk garrison, which had broken out to meet them. From 29 November – 1 December, the New Zealanders defended the point and the area to the west against Axis attempts to sever the link with the Tobruk garrison and regain control of the local roads. The new 132nd Armoured Division Ariete re-captured Point 175 late on 29 November. The Battle of Wadi Akarit was an Allied attack from 6–7 April 1943, to dislodge Axis forces from positions along the Wadi Akarit in Tunisia during the Tunisia Campaign of the Second World War. The Gabès Gap, north of the towns of Gabès and El Hamma, is a passage between the sea and impassable salt marshes. The 51st (Highland) Infantry Division breached the defences and held a bridgehead, allowing the passage of their main force to roll up the Axis defences. After several determined counter-attacks, the Axis forces withdrew and the Eighth Army, under General Bernard Montgomery, pursued toward Tunis, until reaching Axis defensive positions at Enfidaville. The Battle of Sidi Barrani(10–11 December 1940) was the opening battle of Operation Compass, the first big British attack of the Western Desert Campaign of the Second World War. Sidi Barrani on the Mediterranean coast in Egypt, had been occupied by the Italian 10th Army, during the Italian invasion of Egypt (9–16 September 1940) and was attacked by British, Commonwealth and imperial troops, who re-captured the port. While retreating from Sidi Barrani and Buq Buq, the 10th Army divisions crowded on the coast road and were easy targets for HMS Terror and two gunboats, which bombarded the Sollum area all day and most of the night of 11 December. By late on 12 December, the only Italian positions left in Egypt were at the approaches to Sollum and the vicinity of Sidi Omar. The British took 38,300 prisoners for a loss of 624 men and prolonged the five-day raid on Italian positions in Egypt, eventually capturing Cyrenaica and most of the 10th Army. "7th Division Commander". The Times . 5 October 1938. Murphy, W. E. (1961). Fairbrother, Monty C., ed. The Relief of Tobruk. The Official History of New Zealand in the Second World War 1939–1945. Wellington: Historical Publications Branch. OCLC 8000753 . Retrieved 4 May 2015.